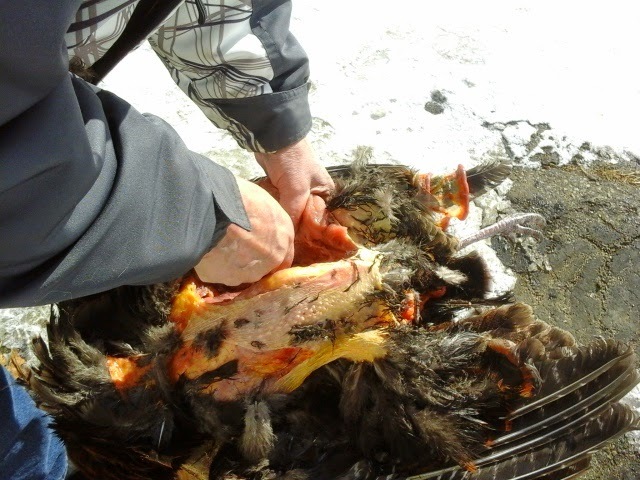 Warning: this post contains photos of harvesting a wild turkey. Just look away now if that sort of thing bothers you. Here is a cute puppy shot for distraction. So, is everybody gone that needs to be? 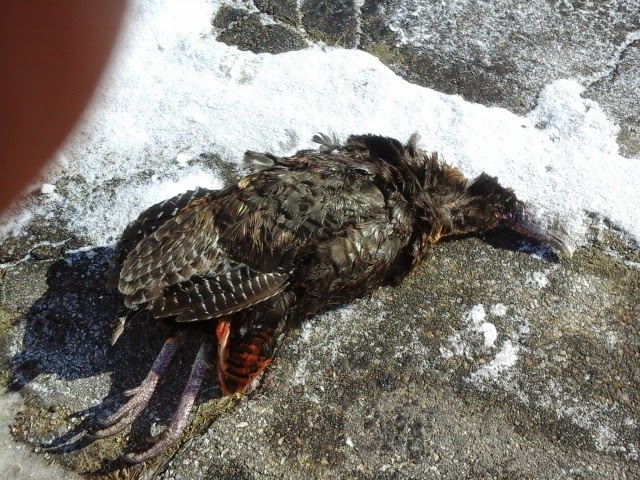 Our neighbor's dog somehow managed to kill one of the wild turkeys. This is not "my"wild turkey, but a young hen from another flock that hangs out up the hill. She weighed 15 or so pounds. The neighbor didnt want to mess with it, and planned to just throw it away. I hate to see anything just go to waste. Though maybe this sounds corny, I feel like it honors the life of the animal if it is at least put to use. 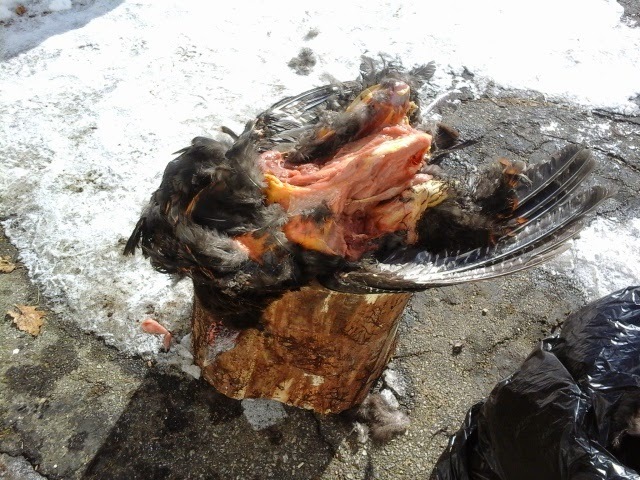 So I went and got the carcass, which was still fresh. And at 25 degrees, it wont go bad very quickly anyway. The dog had mangled the back and tail section pretty badly, but the breast was untouched. 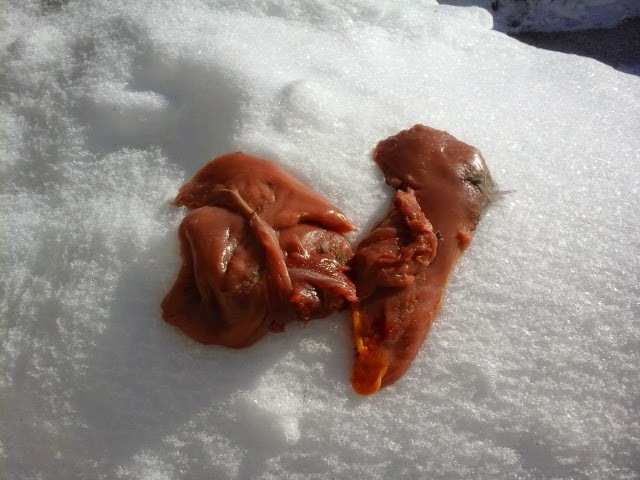 My other neighbor, the hunter, came down and recommended to only harvest the breast meat. He said that is really all that is good on a wild turkey anyway. 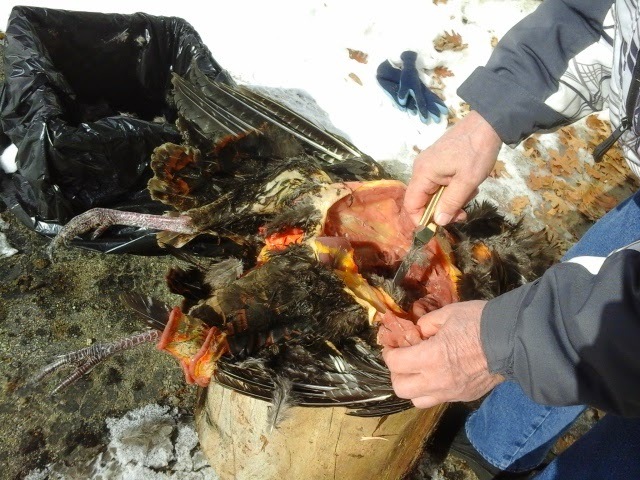 So, the carcass being too damaged to even attempt harvesting as I would a whole bird, with scalding, plucking disemboweling, etc., we simply pulled the feathers off the breast and removed only the meat. Jack had his good knife, which made this easier. The meat. Two or three pounds at least. This will be a wonderful meal for the dogs. it is completely edible for us, but we dont eat meat. Now I feel we have given this untimely death a purpose. I gave thanks. 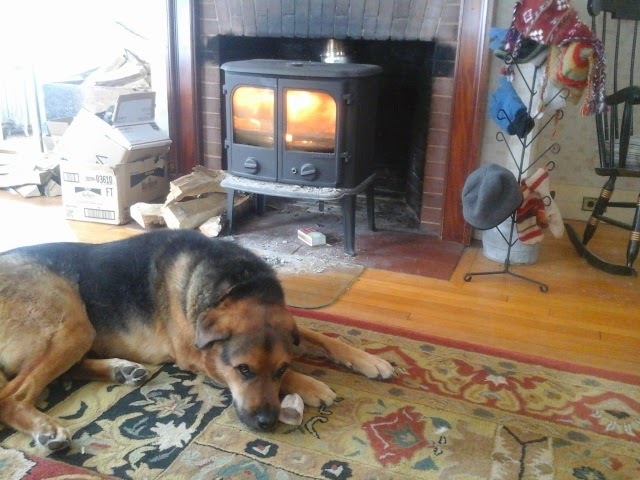 For the dogs, I just boiled this up plain. It smelled wonderful. 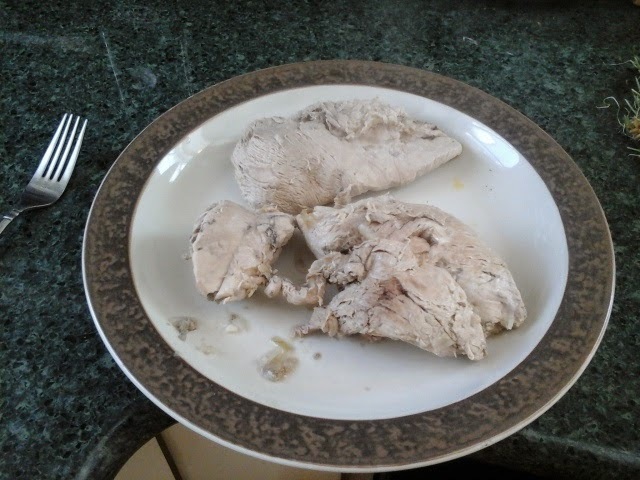 I tried a small bite and it is the best turkey I have ever tasted.